Kilian Jornet Summits Mt Everest – Alone and without fixed ropes or oxygen, he completes the climb in and amazing 26 hours. Kilian Jornet has done it again. The Catalan successfully summited Mount Everest this week in 26 hours without the use of additional oxygen or fixed ropes. Alone, in a single climb, Jornet reached the summit of the world’s highest mountain (8848 metres). The climb sets a *new “Fastest Known Time” of 26 hours from the Everest Base Camp (5,100 metres) to the summit. Due to stomach problems, Jornet didn’t complete the descent to the Everest Base Camp, having to at the Advanced Base Camp (6,500 metres) before the final descent. He completed the climb from Everest Base Camp at the ancient Rombuk monastery to the summit via the traditional route up the north face. Jornet began the challenge at Everest Base Camp on May 20 at 22h local time (+5: 45 GMT). At 12h15 local time he was back at the Everest Advanced Base Camp, where he confirmed reaching the summit at midnight. In general, expeditions take four days to reach the summit from the Advanced Base Camp. Given his stomach virus, Jornet decided to end the attempt at the Advanced Base Camp instead of descending to the Base Camp, near the Rombuk monastary, as he’d initially intended. The climb forms part of the Summits of My Life project, which, since 2012, has seen Jornet travel around the world to try to establish records on the planet’s most iconic mountains. He began with Mont Blanc in the French Alps in 2012 and since then has scaled other mountains in Europe (Mont Blanc and Cervino), North America (Denali) and South America (Aconcagua). 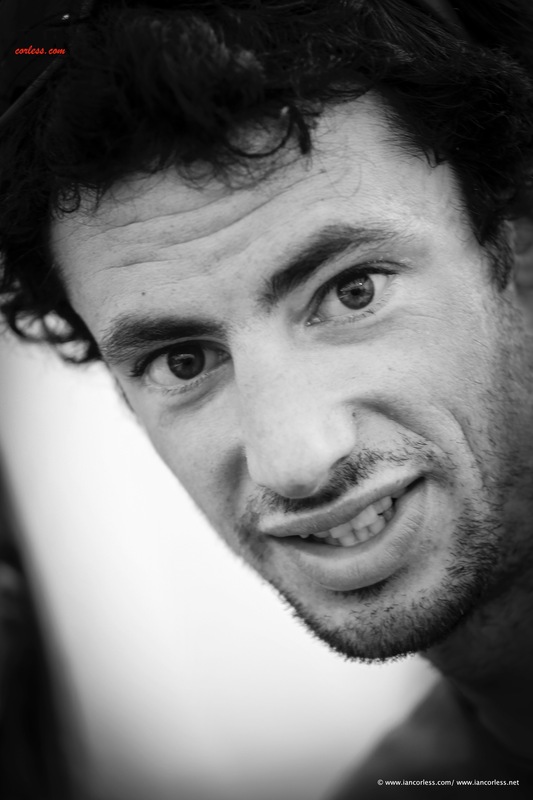 You can read an in-depth interview with Kilian HERE. During the Everest challenge Jornet was accompanied by the expedition’s mountain guide and video cameraman Sébastien Montaz-Rosset, another Salomon athlete. After meteorologists forecast a window of good weather on May 20-21, Jornet decided to make May 20 the day to begin the challenge and left the Base Camp at 5,100 meters by the ancient monastery of Rombuk. The aim was to get to the summit in a single climb, without oxygen or fixed ropes and with minimal equipment. Finally, after reviewing the conditions for the different routes, he opted for the traditional one. When Jornet set off at 10 p.m. local time (+5: 45 GMT), ahead of him lay 15.2km of glacial moraine before he arrived at the Advanced Base Camp (ABC). This part of the climb took 4h35 and he arrived at ABC at 2:35 a.m. He rested for two hours before continuing. “It’s important to be fresh when you reach 8,000 metres if you want to reach the summit. I knew that in the first stage, I had to conserve energy for the final stretch,” Jornet explained. After leaving some of the technical equipment at the ABC, he set off for the most technical part of the climb at 4:30 a.m.
Leaving the ABC, he climbed to cross Field 1 at 7,000 metres. It was 6:30 a.m. and he’d been on the move for eight hours. From there he climbed to Field 2, between 7,600 metres and 7,800 metres, where Seb Montaz was waiting for him. Montaz was there to film him during the ascent and then return to Advanced Base Camp to report on the situation. From there, Jornet climbed the highest section and arrived at the summit at midnight. It was a clear night, without clouds or wind. The video cameraman Seb Montaz had followed Kilian Jornet during some of the challenge. Montaz left Advanced Base Camp at 3h20am and climbed to 7,500 metres to wait for him and film his ascent through the high fields of Everest. Montaz would then climb to 8,020 meters to film. From there he descended to the Advanced Base Camp to wait for Jornet, climbing up to 7,000 metres to meet him. It was another handful of hours on the mountain for this guide-turned-cameraman. Before Everest, Kilian Jornet had spent two weeks on another 8,000m mountain, Cho Oyu (8,200 metres). 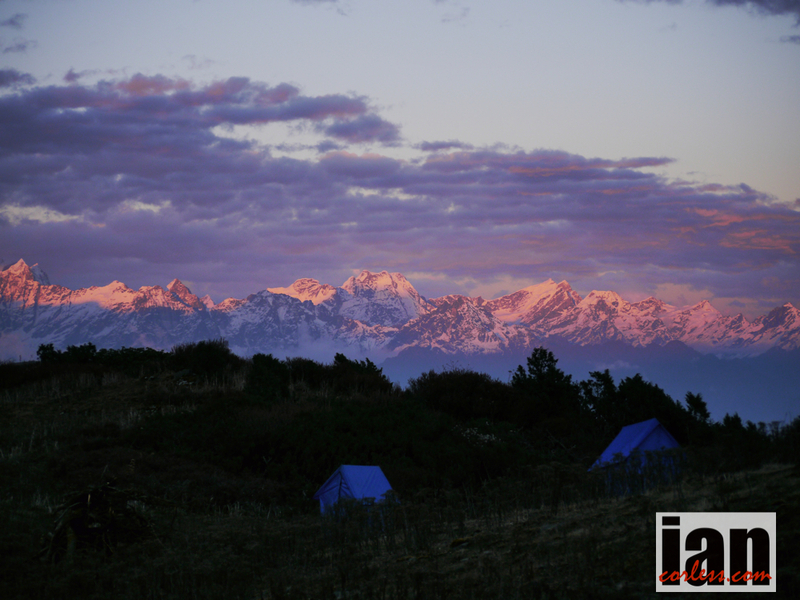 The aim was to be well prepared for Everest and also to try out a new type of acclimatization. Following the initial attempt, Kilian completed an ascent of the mountain a 2nd time on May 27. Again without the use of fixed ropes or supplemental oxygen, this attempt just five days after summiting Everest on May 22. Kilian completed in *17-hours this time from advanced base camp to summit. 1. Prototype Salomon Mountaineering Boots – designed specifically for the Everest expedition. They include lightweight prototype trail running shoes (unseen here) that are placed inside the outer boots once Jornet reaches the snow line. 2. Salomon Prototype Sleeping suit – Prototype 1-piece high-altitude suit engineered and fully developed by Salomon. Press release and information via Salomon.